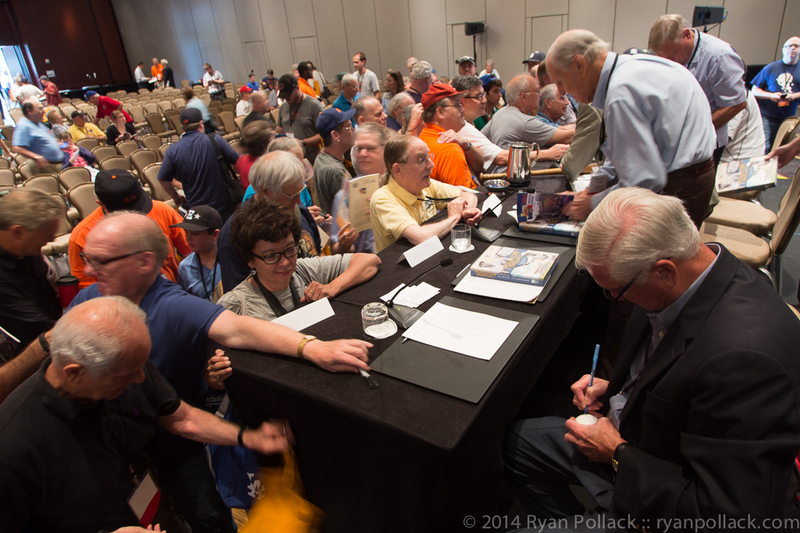 I am way behind in doing this post on the SABR44 convention in Houston. I did posted pictures from the event on Tweeter, IG and Facebook but I did not do a blog post. This year I debated whether to go to the convention because I’ve known for a few months now that I will be out of job soon, but I am glad I did go. Once you go to one of the SABR conventions, it is hard to stay away. It is always a big pleasure seeing fellow SABR members and meeting new ones. Also of course I enjoy the lineup of speakers, going to see an MLB and a minor league game if possible. Also I try to attend as many baseball sessions as possible realizing that it is impossible to attend all. The local chapters always do a great job of hosting and organizing the convention. In Houston it was hosted by the Larry DierkerChapter and greatly assisted by the Horsny Chapter. This was my fourth convention in a row. I enjoyed every one of them. My first one was the Long Beach convention where I volunteered with our local Chapter, the Allan Roth Chapter. Hopefully I can make it next year to Chicago for SABR45. Marie “Red” Mahoney. The only women from Houston to play in the AAGPBL. It was great chatting with Larry Dierker prior to the panel discussion. Lesley Heaphy selected as Bob Davis award winner! A SABR member was so nice giving me this baseball card so that Enos could sign it for me. A kid took this picture of Jose Cruz and myself. It is a little blury. Dodgers Jim Wynn and Bob Aspromonte signed my baseball. Buck Martinez, broadcaster of the Toronto Blue Jays. Max Kates dressed like Charlie Finley, had a presentation titled “The Bikers Beat the Boys Scouts”: Facial Hair and the 1972 World Series. I think his dress attire helped him get Roger Clemens to sign his book. Selfies with Roger Clemens in the background. The Toy Cannon, Jim Wynn. Brooklyn Dodger Bob Aspromonte. Also a Colt .45 . We got this huge book free. I can’t read this signature. Hmm. Roger Clemens? Selfie at Minute Maid Park with Astro in the background. Since SABR42 in Minnesota, we (Norm, Kent, Abby and I) have been taking a picture at a stadium with the team’s mickey mouse. This year Abby could not make it so we invited Evelyn to post with us. These are only a part of the pictures I took at SABR44. It is always so much fun attending the convention. I hope to make it to SABR45. Sidenote: Today Wednesday, September 24, I can’t wait to head to Dodger Stadium to see Clayton Kershaw go for win #21 against the Giants and clinch the National League West! Go Dodgers! Reading the LA Times newspaper this morning on the train, the obituary of Diane Disney Miller, daughter of Walt Disney.caught my attention. She played a major role in the completion of the Frank Gehry designed Walt Disney Concert Hall in Los Angeles. RIP Diane. I noticed Diane’s husband’s name is Ron Miller. This made me think of Rod Miller, the Brooklyn Dodger that had only one at bat with the Dodgers. Also I thought , the youngest Brooklyn Dodger alive. After reading the newspaper, I moved to my Iphone to catch up with more news. That is when I ran into the obituary of Rod Miller. 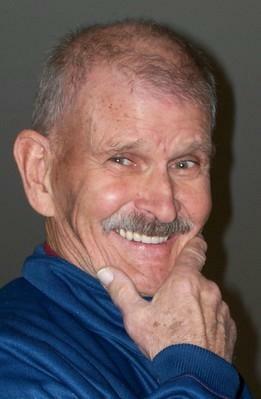 Rod passed away on November 8, 2013, he was 73. Rest in peace Mr. Miller. The 17 year-old Miller was signed by the Dodgers out of Lynwood HS in SoCal on June 26, 1957. He was brought up to Brooklyn in September. He appeared in only one game facing the Philadelphia Phillies on September 28. Rodney Carter “Rod” Miller went swinging on his only major league at bat in 1957. With the passing of Rod Miller, the youngest Brooklyn Dodger alive is Bob Aspromonte at 75, followed by Sandy Koufax who will be 78 on December 30.